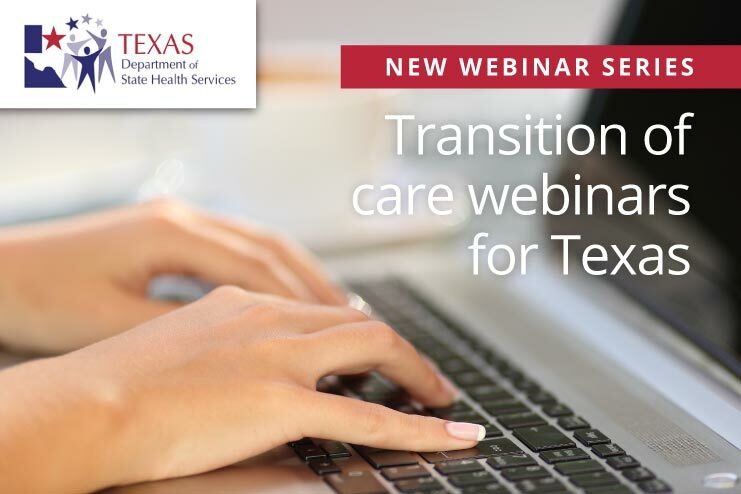 The Texas Department of State Health Services (DSHS) has announced a new webinar series starting on Oct. 22 entitled, Best Practices for Transition of Care from State Mental Health Facilities to Nursing Facilities. The schedule is shown below. Click the links to register for upcoming webinars or review recordings of past webinars. Three of the webinars will be presented by Dr. David A. Smith, M.D., a practicing geriatrician in Brownwood, Texas. Dr. Smith is Medical Director for three long-term care facilities and serves on the Board of Directors for the Central Texas MHMR. He was formerly a tenured Professor of Family Medicine and Psychiatry at the University of South Dakota School of Medicine while also functioning as the Chief of Medicine for the Human Services Center (that state’s sole state mental hospital) and Medical Director for its geropsychiatry unit for approximately 18 years. He has authored numerous journal articles and book chapters on psychotropic medications and the practice of behavioral medicine in long-term care. After registering, you will receive a confirmation email containing information about joining the webinar. For more information, contact Valerie Krueger, DSHS Program Specialist, at valerie.krueger@dshs.state.tx.us or 512-838-4343.